Whether you are Android or iOS user, your device has been given a unique ID. Though one might need to change android id without root process. Have you heard the word “root” before? Let we explore what is root first. Excited? Rooting is basically a process which allows you to have complete control of your Android smartphone. You can modify your settings up to some level on a normal device while it requires rooting for operating system level tweaks. A few examples may include changing the default launcher, modifying the color of menu, customizing boot logo etc. Rooting has numerous advantages if you are into customization or love to use cracked stuff. However, it will ruin your device’s warranty. You might get stuck on the boot logo after a restart. But who cares if it gonna provide the functionality and features that we want. The only thing through which you along with your device can be tracked is International Mobile Equipment Identity. But that’s not absolutely true. You can also be tracked using Android ID. The Android ID is an alphanumeric code while IMEI is numeric only on the other hand. Both of these can be altered easily though. You can change android id through a variety of apps but they will need root access in first place. If you don’t want to change such important information of your device for your wise purpose, Android emulator is the ultimate solution. Within a few clicks, you’ll get you Android ID changed. Let’s get familiar with the process. 1.1 How to check your device’s Android ID? 1.2 Can I change this Android ID? 2 1. Change Android ID of Rooted Device? How to check your device’s Android ID? Ans: There are many third-party apps through which you can easily check your Android ID. If you don’t want to install such apps, here it is. Dial *#*#8255#*#* and see the magic! Can I change this Android ID? Of course! But as a matter of fact, you need to root your device. With the advancement in the development of Android OS, there exist tools using which you can change android id without root. 1. Change Android ID of Rooted Device? Step 1: Enable third-party app installation from your device. You can do so via Setting > Security > Unknown Sources. Step 2: Install Android ID changer on your Android device. Step 3: Open recently installed app which will demand root permission to move further. 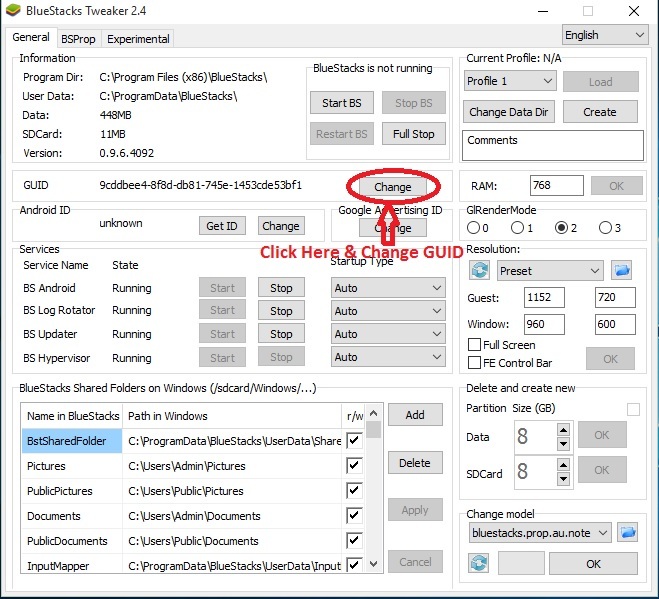 Step 4: Granting SuperSu access will allow you to open Andoid ID changer. Step 5: Click on “+” sign situated at the top of right side of the screen. It will generate a new android id. Click on save will change you android id permanently. Rooting and jailbreaking are complex processes where your device might get lost in infinite bootloop. Many of the users are afraid of warranty void as well. So does that mean you can’t change android id to work on your idea? Hell no, right? Here we’ve provided a guide to change android id without root. But it may not fit if you often want to change android id. How to change android id without root? Step 1: Head to Setting of your device. Step 2: Select Backup & Reset option which will be available at the last. Step 3: Tap on factory data reset from a bunch of opened options. Step 4: It will initiate the reseting procedure which will reboot your device once it finishes. Step 5: Bingo! Your Android ID is successfully changed. 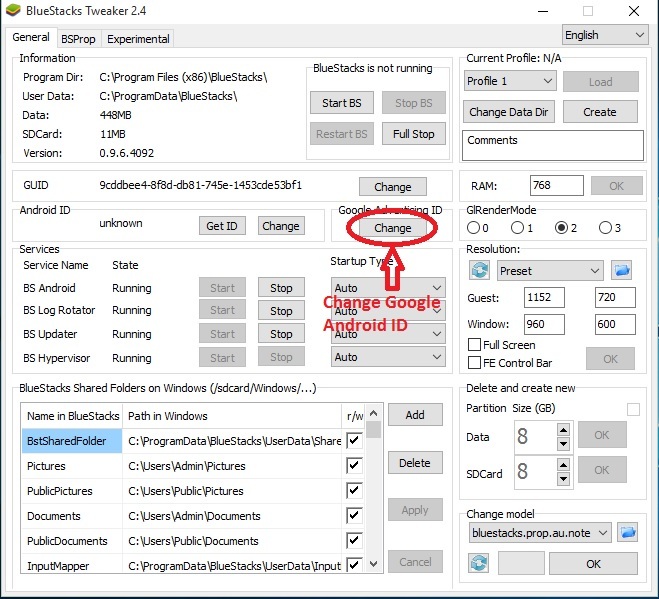 If you’re using Android emulators, BlueStackes will be most probably your choice. 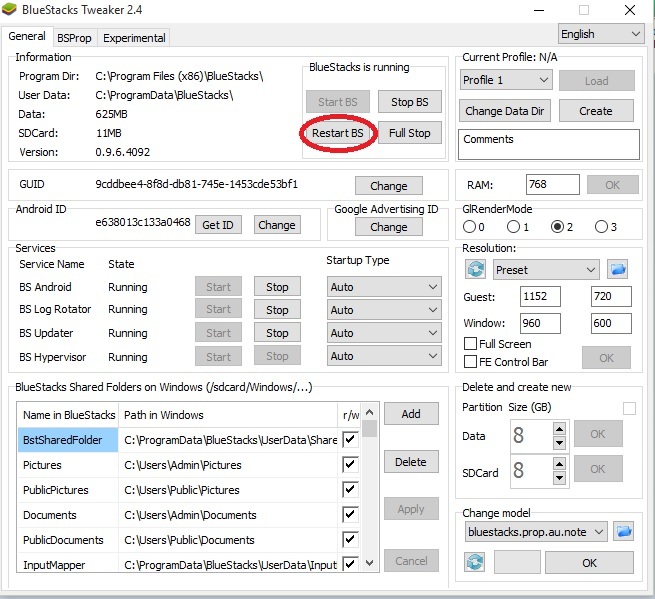 Yes, it is possible to change bluestacks android id and google advertising id. This is the most convenient way to perform a various task which can be done only upon changing android id. This way, you won’t need to tweak your android device for rooting. Step 1: First of all download BS Tweaker from here. 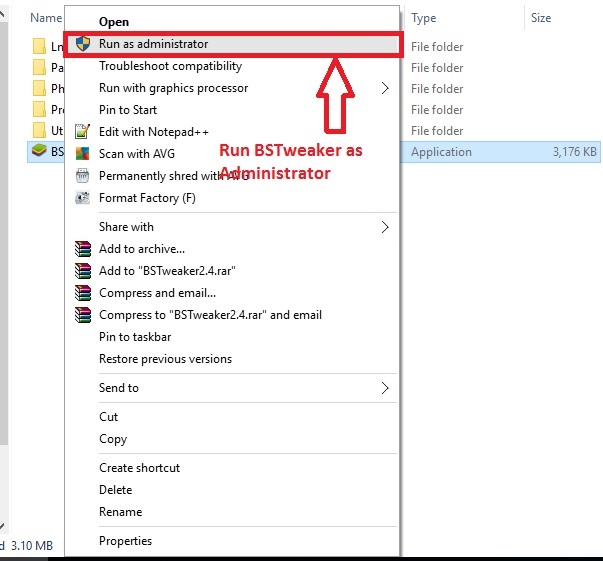 Step 2: Now unzip it and run BS Tweaker as administrator. Step 3: Now change GUID as demonstrated in the following snapshot. Step 4: Tap on the change button sitting near Android ID. Step 5: Click on change button under Google Advertising ID. Step 6: At the end, restart BlueStack from BS Tweaker. This was a brief guide on how to change android id on Android devices along with BlueStacks. You can easily change android id without root as per the steps we mentioned. 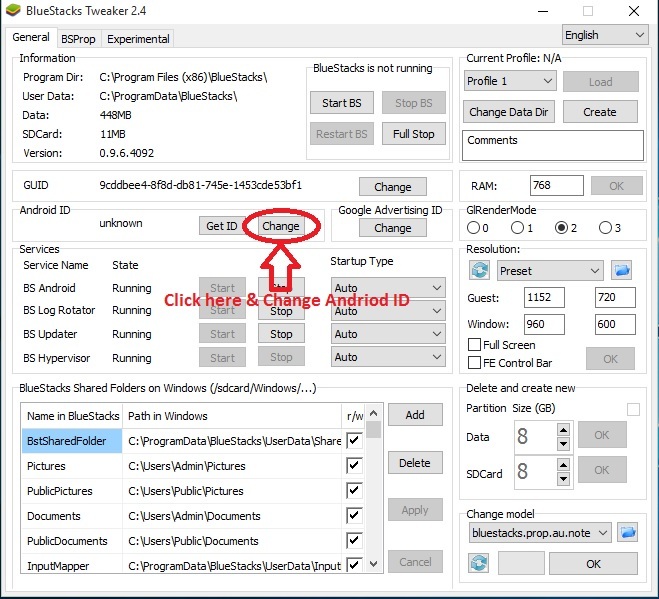 BlueStakes Android ID change method is 100% working and you can utilize it repeatedly. The methods mentioned above are educational and development purpose only. TricksNTech will not be responsible for any sort of misusage. Niether we incentivize to do so. What problem are you facing on ID changer? Can you tell us? Thanks.